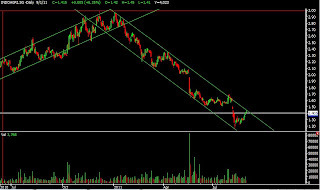 Indoagri now trading at 1.415, this stock is quite obedient as it always trade within the parallel channel. Now it is at the channel resistance, will it break the trend? If it never, this will be a good entry for short position. Stoploss can place at 1.48, if want to wait for confirmation, enter when price break below previous day low. 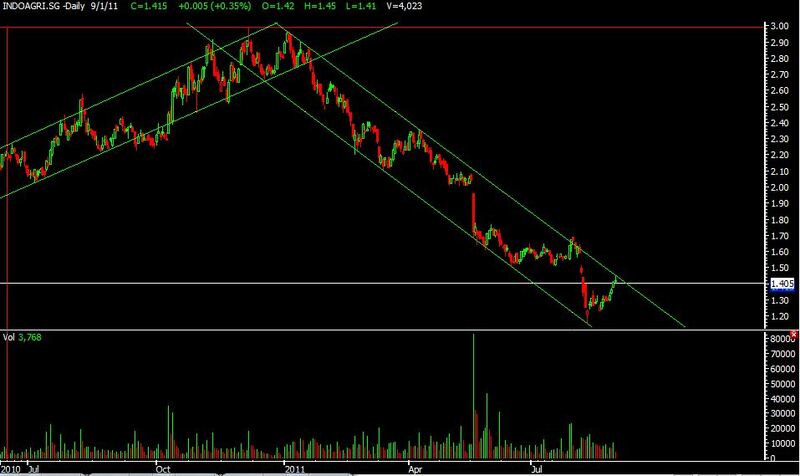 Target price will be ard the channel support.